Nobel Prize-winning economist Paul Krugman’s recent column on the rapid growth of inequality in urban America points out the critically important role city government can play in creating equitable communities that include people of all income levels. Nobel Prize-winning economist Paul Krugman focused a recent New York Times column on the rapid growth of inequality in urban America. Around 15 years ago, he points out, downtown central areas started becoming more educated, wealthy and white — something many of us, like Krugman, refer to as gentrification. Here in Philadelphia this may not sound like groundbreaking insight. Over the last 15 years, the rising cost of living in Center City has meant increasing numbers of residents who fit that description — which, to be clear, is not a negative. But while that trend has produced many positives, particularly downtown, it has also pushed many low-income, long-term residents further toward the city limits, many times into areas where blight and poverty are rampant. What Krugman points out is the critically important role our city government can play in creating equitable communities that include people of all income levels in the future of our neighborhoods. While City Council and the mayor are limited in their ability to make a significant impact on income inequality, they do have the ability to increase the supply of affordable housing in gentrifying areas — meaning they have the direct power to ensure that those who are committed to, and who invested in, those communities can afford to stay and share in the benefits. Philadelphia’s city government also has the necessary tools available to maximize its impact. The recently created Philadelphia Land Bank, which we fought for and won, is a vital tool that provides an efficient way to handle the acquisition, maintenance, and sale or transfer of the more than 10,000 vacant properties the city currently owns. By design, it also gives City Council control over how that land gets used. So in short, it frees up more land to develop and grants an opportunity to deliberately plan a balanced approach before city-owned land is given out. Another vital tool in making that vision a reality is the Philadelphia Housing Trust Fund. For over a decade it has provided funding to support the development of new affordable homes, the repair of existing homes, and the prevention of foreclosure and homelessness. But while the Housing Trust Fund attempts to address inequality by dedicating 50 percent of its proceeds toward improving housing options for families earning less than $20,000 per year, and has provided housing opportunities to more than 14,000 families, seniors, disabled, and homeless individuals to date, it is drastically underfunded. Just how drastically underfunded is the Philadelphia Housing Trust Fund? Consider that Washington, D.C. — a city roughly one-third the size of Philadelphia — has made a $100 million annual commitment from its general fund, up from a $40 million commitment previously. 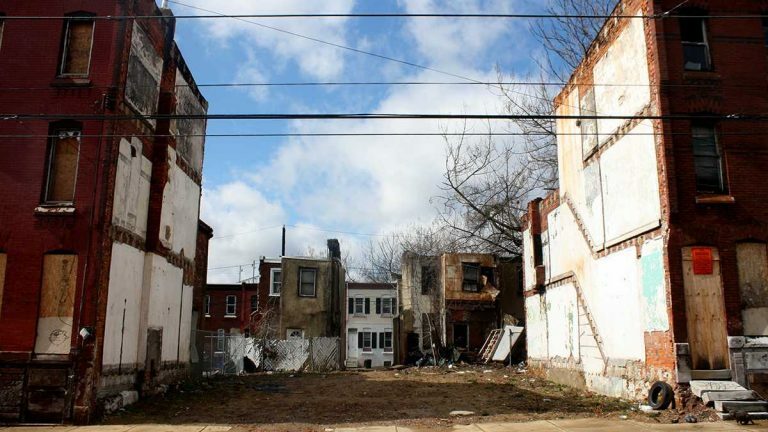 By comparison, Philadelphia allocates just $12 million annually to its Housing Trust Fund. That’s why the Philadelphia Coalition for Affordable Communities (PCAC) has been advocating for a dramatic increase in resources for our Housing Trust Fund. Research shows that an additional $12 million investment has the power to create 240 units of newly constructed affordable rental apartments, support 150 existing homeowners seeking critical home repairs and 112 home modifications to assist those with disabilities, stabilize 272 households facing homelessness, and provide 240 grants for capital improvements and infrastructure for community gardens and food-producing green spaces. If all of that can happen with a mere tenth of what Washington commits, imagine the possibilities if we were to go even further. Mayor-elect Jim Kenney’s pledge to add $5 million, and Councilman Kenyatta Johnson’s legislation to direct $2 million, are both encouraging signs of progress, and the PCAC commends those efforts. However, alone they are not enough to stem the rising tide of inequality in Philadelphia, and we must do more. Other city’s governments are leveraging their ability and tools to solve inequality in urban America, and ours should too. Nora Lichtash is the executive director of the Women’s Community Revitalization Project and a steering committee member of the Philadelphia Coalition for Affordable Communities.